In recent years, fashion and tastes have continued to transform with the times across every facet of design—especially when it comes to what looks good in and around the home. While some styles barreled boldly into the future with fresh concepts and influences, others have been arching back into the past for a (not so) fresh, yet fabulously classic aesthetic. Today, vintage stores all over the world are capitalising on the renewed interest in 'retro' an vintage looks, and it's not just in the realm of fashion that we see it happening. Vintage furniture, not to mention vintage-styled interiors overall, have become a highly sought after aesthetic in and around the home. They say 'a classic never dies', and this is absolutely the truth when it comes to the vintage milieu. If you're thinking about changing up the look and feel of your home—especially the bathroom—you might consider implementing a few timely vintage tricks, bits and tips. 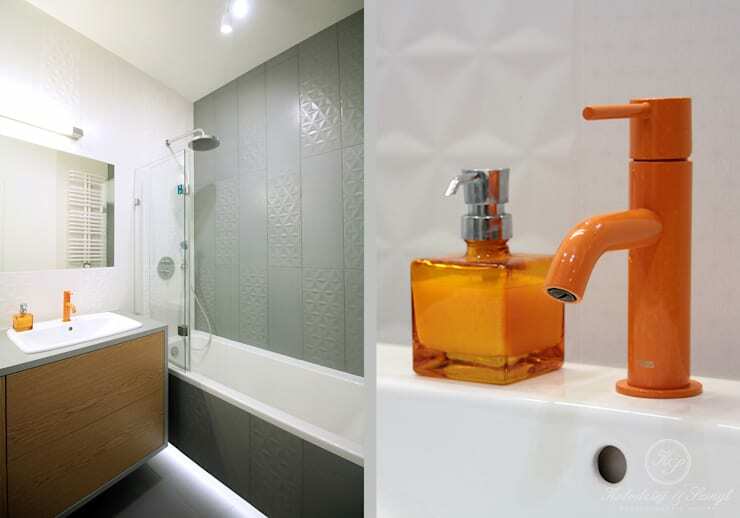 Today on homify, we're taking a look at a few fabulous examples of how a little vintage burst can really open up the home bathroom. It doesn't take a huge effort, or a total overhaul either: with a little nous, and some forethought, you can turn your bathroom into a wonderfully enticing vintage-influenced space. Firstly, let's talk furniture. Now, it may come as some surprise that we're discussing the ins and outs of furniture in the context of bathroom re-decoration: for many, the bathroom is a simple space (and perhaps a small one) in which the concept of additional furnishing might seem unnecessary. Well, even within a small space it ought to be said that the furniture you do choose can make all the difference to the functionality and feel of your space overall. So, pick wisely, and select with style. 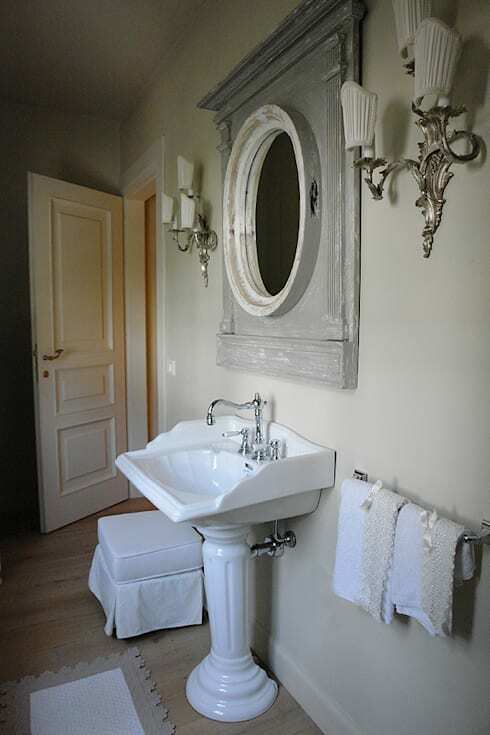 Choosing furniture with a vintage feel can give a bathroom a sense of old world elegance and extra burst of charm. As we see in this neat example, a turn of the century-style vanity greets this bathroom's occupants each morning, fusing fantastically with duel vintage circular wooden-rimmed mirrors. Vintage iron and brass fittings further the 'duel' motif, and create a wonderful synergy with the feature vintage chandelier. As this example testifies, furniture is crucial when it comes to the bathroom—and bringing in a little vintage style really works wonders. Of course, when we talk about vintage, we're not always talking about 'old school' in the 'old world' sense. Vintage style can really mean so much, myriad styles within a broad, overarching descriptor—multiple decades of divergent tastes and aesthetics. To split things up a little, we might also consider the word 'retro', which can be broadly defined as 'old, but not quite as old as vintage'. 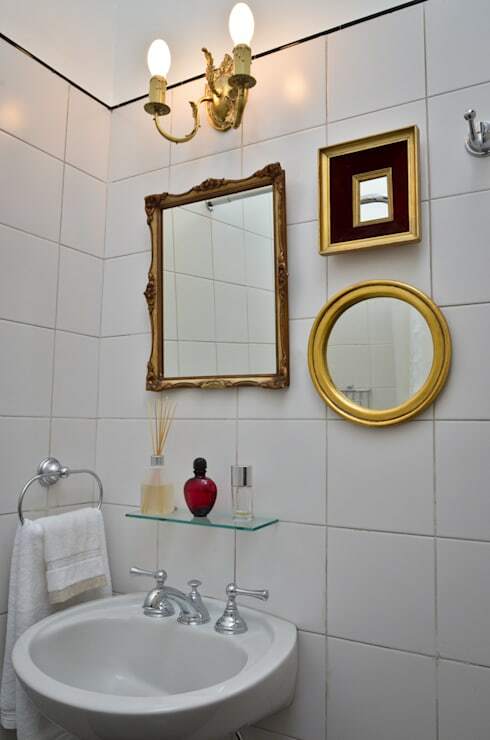 In this example, we see how the owners have incorporated a distinctly retro feel with their choice of vanity tiles, a contemporary twist on the not too distant past: bold, red and beautiful against the matching classic white. 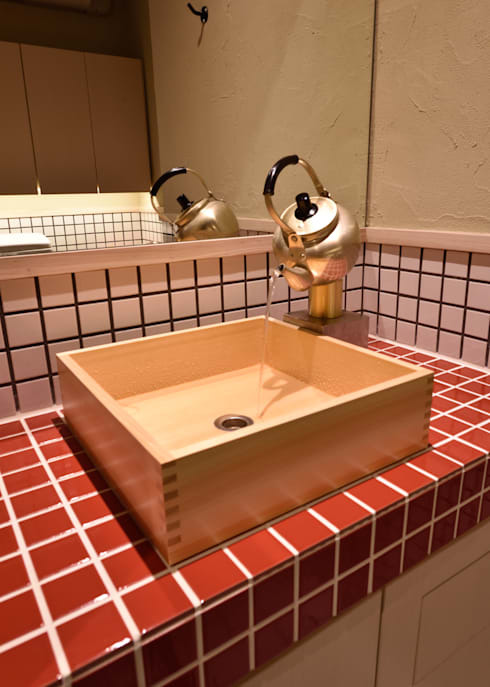 Whether retro, vintage or otherwise, a burst of colour can do wonders in the bathroom (just add feature retro kettle for a novelty faucet and voila!—you've got yourself a fabulously unique bathroom with a delightfully unique—and colourful— throwback edge. Stylistic flourishes that came about during the sixties and seventies are revered for their brash, bright colours and feels, and certainly fall under the 'retro' category if not 'vintage'. Colours like brash orange and yellow—endemic of that era—can really work wonders in the bathroom, and a good place to start is with your choice of accessories. As we see in this tantalisingly fresh example, colourful retro accessories make all the difference against the otherwise modern, light-toned interior. The orange faucet tap makes a real talking point, yet it's the choice of complementary accessories—in this case, the bright orange soap dispenser—that helps integrate and define the room's retro juxtaposition. 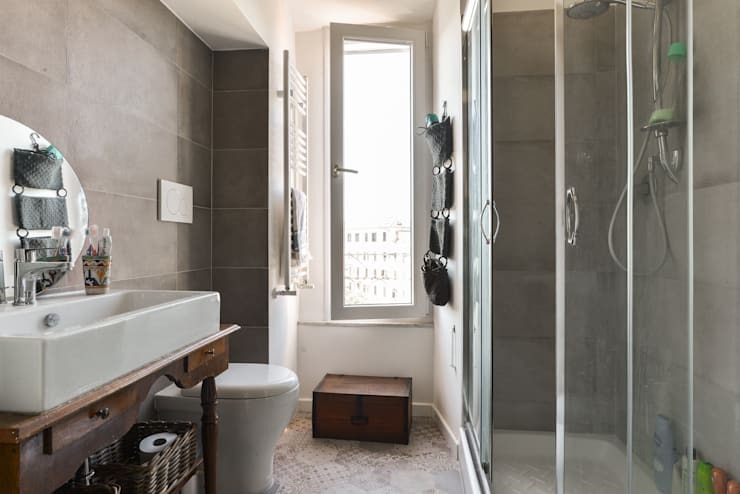 We can't say enough about the importance of good lighting in any and every domestic space, and our well-rehearsed mantra 'let there be (good) light' remains a crucial consideration for the home bathroom. 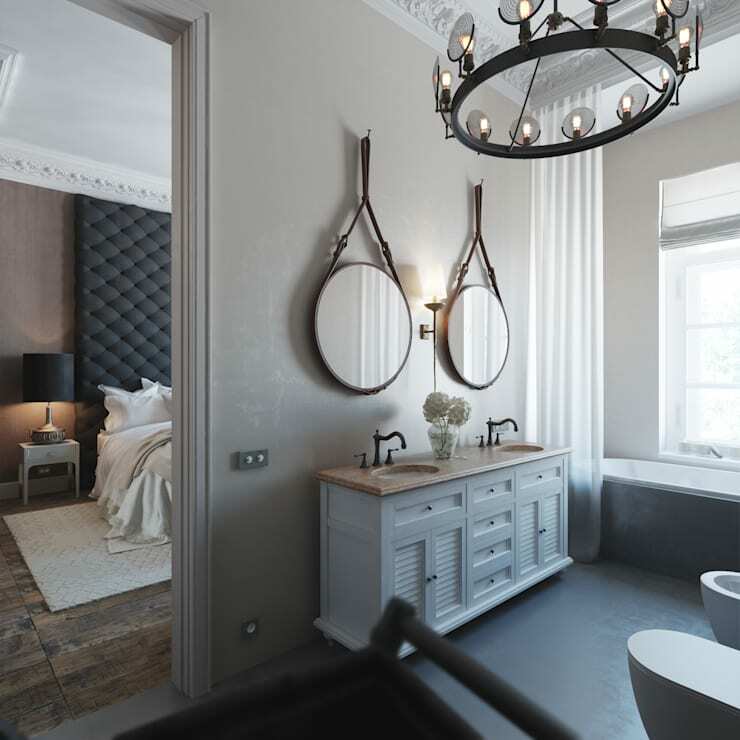 You want to make sure you're illuminating your bathroom the best possible way, and presenting your flourishes of vintage furniture and fittings in the the right light. Having the right mix of artificial and electrical lighting is ultra important for creating a relaxing, functional and aesthetically pleasing bathroom, but what about during the day? You can't beat natural light for creating mood, and it's important to maximise the natural where you can. As we see in this fabulous example, a bathroom with decidedly vintage accoutrements (storage chest, vanity stands, wicker storage) laps up the burst of fantastic natural light from this generous, openable wallside window. Let a much natural light in as you can, and make your vintage bathroom shine the way it deserves to. Sometimes, we have a vision in our minds about how we'd like our bathrooms to look, and it's not always the case that our fantasies can match our reality. In these cases—where a large-scale overhaul, perhaps structural, is not an immediate option—we need to get cleverer about how we present our pre-existing features. A good place to start is with our bathroom walls. Here, we have a bathroom with modern, plain white tiles: a classic, though perhaps less 'visionary' option. Instead of tearing down the white and replacing with retro red or orange, or sanding down to the raw brick, the owners have decided to 'add' rather then 'remove': a collection of well-curated, neatly selected and hung vintage mirrors—each unique in their own right, each working as a team to create a sense of vintage splendour in an otherwise basic motif. Tiling can be tricky business, chat to a professional to get the look you desire! Last, but not least, we find ourselves at the finer trimmings. Sometimes, all you need to do to create a little vintage charm in your bathroom is by considering the way in which your lights are dressed up and how your water comes out: fittings and fixtures make such a huge difference to the style and sensibility of a bathroom and they really ought to be well-selected. Here, we see true vintage splendour at play: splendid silver taps and faucet, united with immaculate period wall fittings to create a warm, regal—and fabulously vintage—mood. What do you think of contemporary vintage interiors? Love them or loathe them, let us know below!